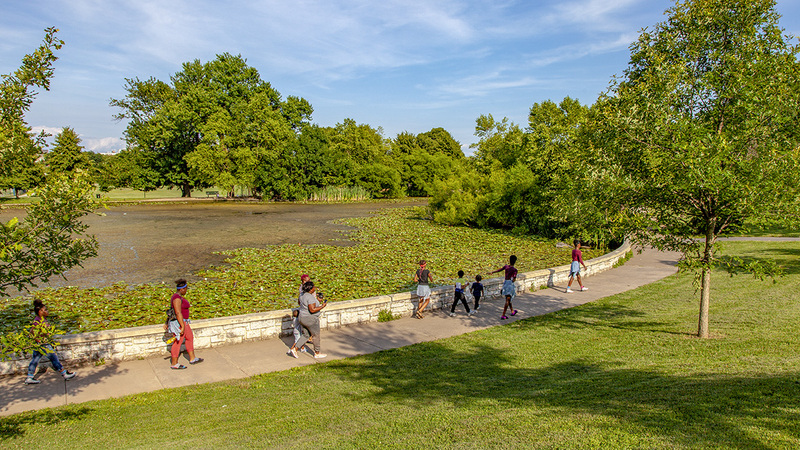 The origin of this 137-acre park in east Baltimore can be traced to 1827 when William Patterson, a wealthy Irish merchant, donated six acres of land for a "public walk." The acreage included Hampstead Hill, famous as a prominent defensive position in the War of 1812. 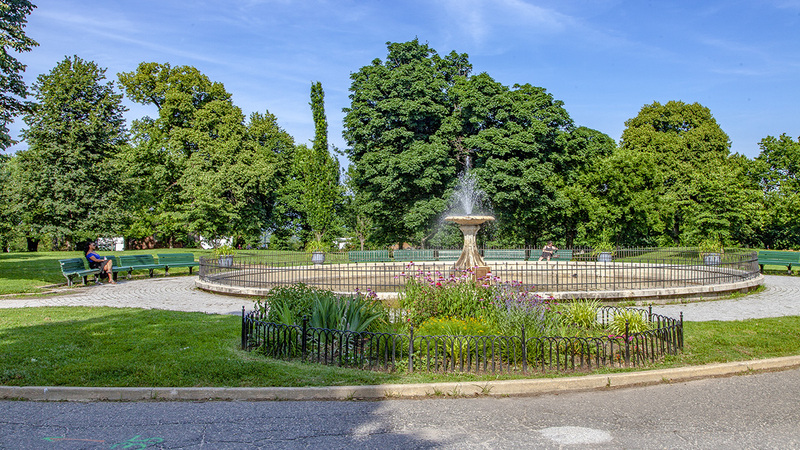 The site was formally dedicated as a city park in 1853. 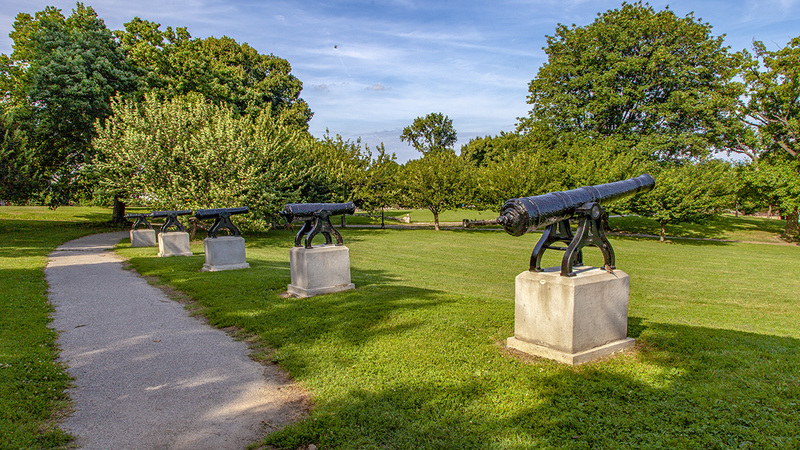 In 1860 Baltimore’s Park Commission purchased 29 acres for the park’s expansion, but improvements were delayed when the site became a Union military encampment (Camp Washburn) and hospital (north of Lombard Street and Patterson Park Avenue) during the Civil War. 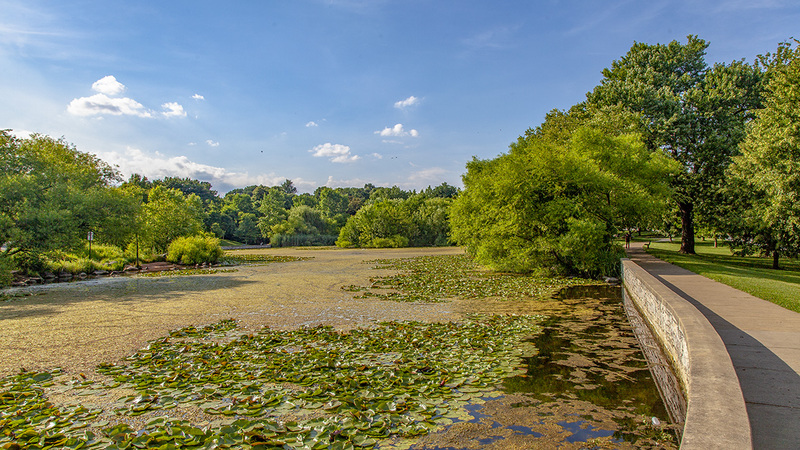 Augustus Faul, the first general superintendent of the city’s parks, subsequently designed the newly expanded grounds to include meandering gravel paths and a serpentine carriage drive, stands of trees, and a lake for boating. 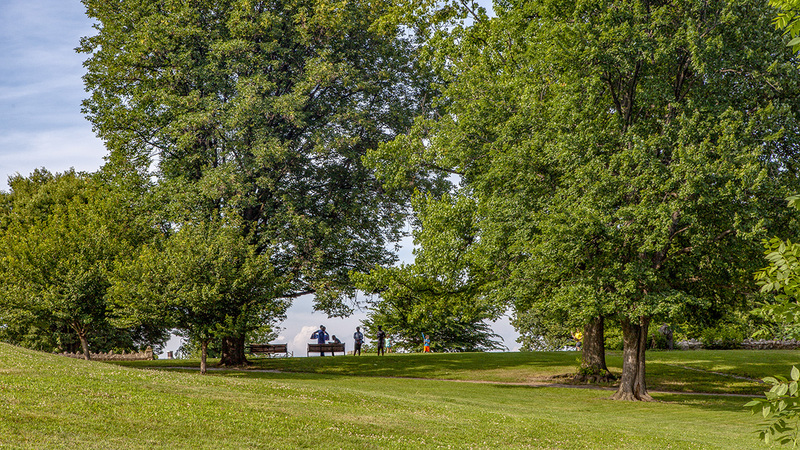 The park was expanded several times following the Civil War, with the size of the lake increased and many tulip poplars planted. 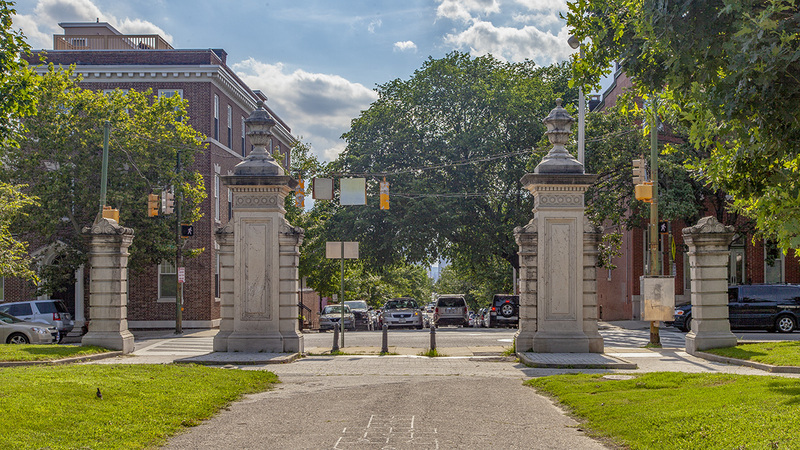 In 1865–1866 George Frederick, architect of Baltimore City Hall, was also tasked with designing the park’s first structures, including the marble fountain and gatehouse. A superintendent’s house was built just within the Lombard Street entrance in 1866. 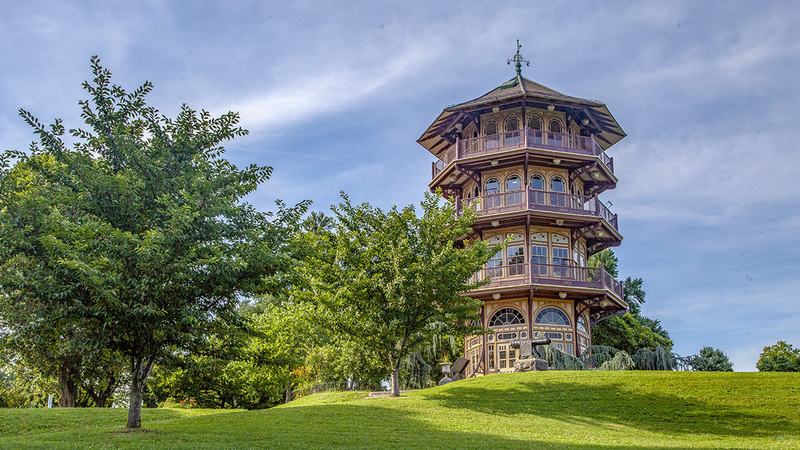 In the 1890s Charles Latrobe, an engineer and the general superintendent of parks, established a carriage drive through the recently expanded grounds and built the 60-foot-high Pagoda (originally called the Observation Tower) on the site of Hampstead Hill. The Patterson Park Conservatory (Baltimore’s first public conservatory) was built within the park in 1876, rebuilt in iron and glass in 1904, and razed in 1948. From 1905 to 1918 the Olmsted Brothers firm added recreational facilities in the eastern section of the park, including a major expansion east of Linwood Avenue on land acquired in 1908. These facilities included a field house, bath house, playgrounds, and several playing fields—all surrounded by curvilinear walking paths lined with linden trees. 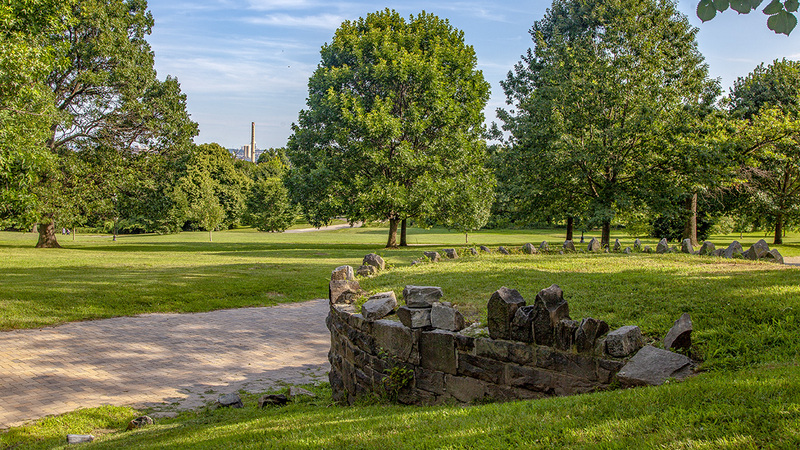 Patterson Park was listed in the National Register of Historic Places in 2002.